Everyone knows what makes up a fairy tale, flowers, sunshine, lots of singing and a happily ever after. What we sometimes forget are the struggles, tears and villains that our hero and heroine must face to get to that happily ever after. Knowing that, we can say with confidence that we are living our fairy tale, filled with lots of sunshine and roses, but also some of the other stuff. So, come along with us on our fairy tale as God creates our happily ever after. 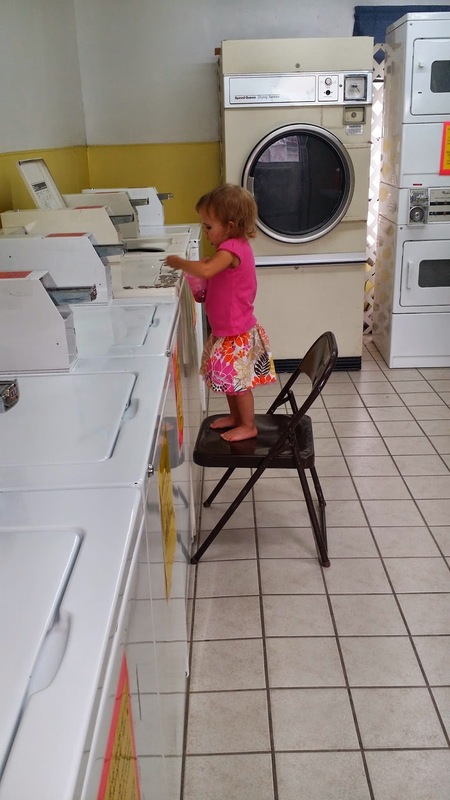 Chloe entertains herself for a little bit while we are doing laundry. She is learning to count and I caught her counting the quarters one day while I was loading the machines. I'm a new wife living in the hot mugginess that is South Texas, learning to live as one with my Prince Charming, hoping that one day my prayer for a baby will be answered. I love my family and don't get to see them often enough. I'm just a girl who is trying my best to live a life that brings glory to my King.